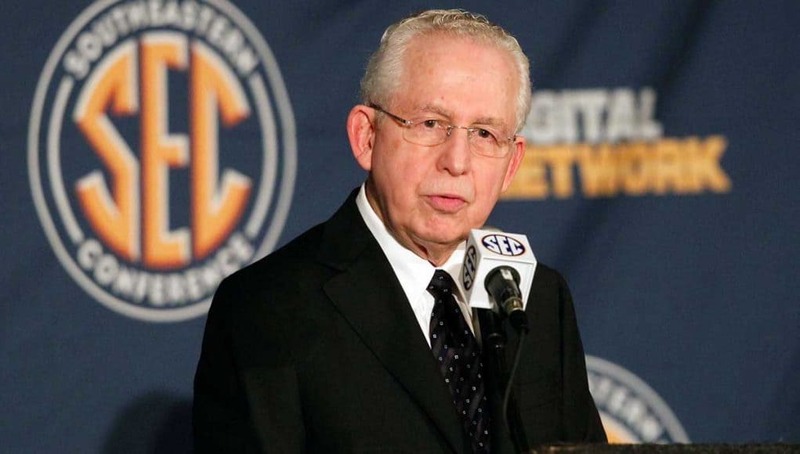 Yesterday, former SEC commissioner Mike Slive passed away at age 77. His legacy is one that has made a large impact on the University of Florida and will continue to do so well into the future. He had large shoes to fill in 2002 when he replaced the outgoing Roy Kramer. Kramer expanded the conference to 12 teams an instituted a conference championship game in football, the first of its kind on the major stage. He was also one of the architects of the BCS, which gave college football its first unified national championship system. Slive would do similar things in his own way. First, though, he promised to clean up the conference. Three quarters of the league was on probation when he took over, and he made it his goal to reduce that to zero within five years. He didn’t quite get it there, but NCAA compliance substantially improved under his watch. 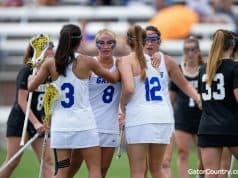 The “Surely Everyone Cheats” nickname did not and probably will not ever go away, but Florida, a program that is a stickler for compliance, certainly benefits when most of the rest of its conference mates aren’t flagrantly violating rules. Slive did eventually do some things on a Kramer-like scale. He expanded the league to 14 by bringing in Texas A&M and Missouri. He and the ACC pitched a playoff plan all the way back in 2008, which of course failed to get other commissioners on board, but he eventually succeeded in helping create the College Football Playoff. 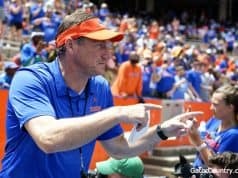 Expansion has been the biggest change for UF so far, as Mizzou ended up on the annual football schedule and the Tigers and Aggies appear as regular foes in most other sports. Slive included former UF president Bernie Machen on the conference’s leadership team, and Machen was key in the expansion effort. 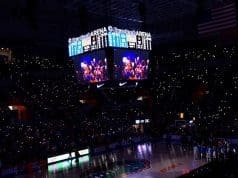 Slive recognized Florida’s importance to the conference and Machen’s leadership abilities, and nothing in that process happened without UF getting a say. Of course, expansion was a precursor to perhaps Slive’s biggest project, the creation of the SEC Network. Bringing the states of Texas and Missouri into the conference increased the population of the league’s footprint by more than 50%, something that was necessary to make the SECN a real financial powerhouse. True to his nature, Slive took a deliberate approach. The Big Ten Network launched in 2007 and the Pac-12 Networks went online in 2012. The SEC Network didn’t conduct its first broadcast until 2014. The windfall from the network has made an impact in Gainesville. The program wouldn’t be setting new records for head coach and coordinator salaries this year without it, that’s for sure. The way Slive went about creating the network, and handling TV in general, was markedly different than the other power conferences. As a result, his bets will either pay off or not for a long time to come. The Big Ten Network is a joint venture, with Fox owning 51% and the conference owning the rest. The Pac-12 owns all of the equity in its networks. The SEC controls none of its network, as ESPN owns 80% and Hearst Communications has the rest. The Big Ten has also pursued relatively short-term contracts, and it has gotten a raise every time it renegotiates. A document out of the University of Michigan shows that it expects to go from $36.3 million in payout from the Big Ten in 2017 to $51.1 million in 2018 largely from a new TV rights deal. SEC schools made an average of $41 million last year. The payout from the SEC’s TV rights agreements will slowly go up over time per the contract, but it’s a long contract. The conference’s deal with ESPN goes through 2033-34. The Big Ten’s 2016 deal with Fox, by comparison, only goes through 2022-23, and its new contract with ESPN is only for six years. In the age of cord cutters and declining cable and satellite subscriptions, there’s a big difference here. Slive set up the SEC to hedge against losses. If the traditional pay TV system goes sour, the conference and its member institutions like Florida won’t be on the hook for owning any part of an albatross of a network. They’ll continue collecting guaranteed checks from ESPN, which is backed by the Disney media empire, for the next 15 years no matter what. If the traditional pay TV system holds on or morphs into something new without too much disruption, then the SEC might miss out on revenue by not owning any part of its network and not renegotiating frequently. It appears as though it already will miss out on revenue compared to the Big Ten over the next few years, but Slive chose to set the conference up for the long game. We have to wait quite a while to find out which bet was right. I met Mike Slive at a 2012 reception in Atlanta thrown by Texas A&M to celebrate SEC expansion. He had no idea who I was, but he didn’t blow me off when I approached him. He shook my hand, smiled, and made a little joke. There are a million more stories about his kindness, decency, and humanity, something that can’t be said about many college commissioners. The SEC and Florida by extension was changed indelibly by Slive. It’s a sad day to see him pass, but his memory and legacy will live on for a very long time.